Freddie Mac has released the results of its Primary Mortgage Market Survey® (PMMS®), showing fixed mortgage rates following long-term Treasury yields higher amid continued positive data on the housing market. 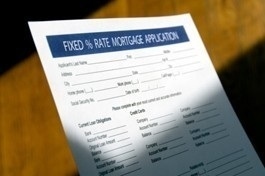 This marks the fourth straight week of fixed mortgage rates gradually moving higher. • 30-year fixed-rate mortgage (FRM) averaged 3.66 percent with an average 0.7 point for the week ending August 23, 2012, up from last week when it averaged 3.62 percent. Last year at this time, the 30-year FRM averaged 4.22 percent. • 15-year FRM this week averaged 2.89 percent with an average 0.7 point, up from last week when it averaged 2.88 percent. A year ago at this time, the 15-year FRM averaged 3.44 percent. • 5-year Treasury-indexed hybrid adjustable-rate mortgage (ARM) averaged 2.80 percent this week with an average 0.6 point, up from last week when it averaged 2.76 percent. A year ago, the 5-year ARM averaged 3.07 percent. • 1-year Treasury-indexed ARM averaged 2.66 percent this week with an average 0.4 point, down from last week when it averaged 2.69 percent. At this time last year, the 1-year ARM averaged 2.93 percent. Said Frank Nothaft, vice president and chief economist, Freddie Mac. For more information visit www.FreddieMac.com.